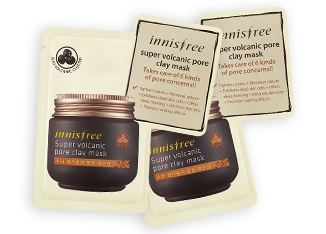 Want to give our Super Volcanic Pore Clay Mask 4ml a try? Well, there's no need to be shy! and your sample will be ready for collection! as they have all been fully redeemed. Soon, we will have more goodies to be given out! Only at your preferred store and location. Please Select innisfree Paradigm Mall, Petaling Jaya [Fully Redeemed] innisfree Pavilion, Kuala Lumpur [Fully Redeemed] innisfree Sunway Pyramid, Petaling Jaya [Fully Redeemed] *Please choose one. -Please make sure that all the information you have provided are genuine and accurate. -Your original IC will be required for verification purposes during redemption. -Your requested sample is only redeemable at your selected store. I have read and accepted the full Terms & Conditions *Please accept the Terms & Conditions.